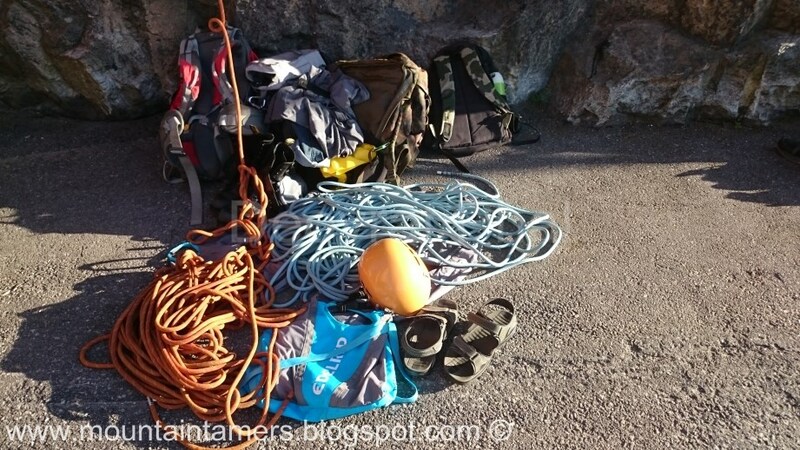 All set for climbing. And yes, helmet is must !! 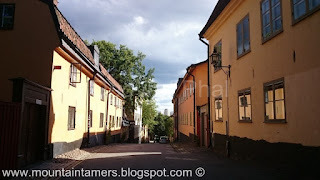 I had moved recently to Stockholm for my studies and I was looking for an adventure group to engage myself with. 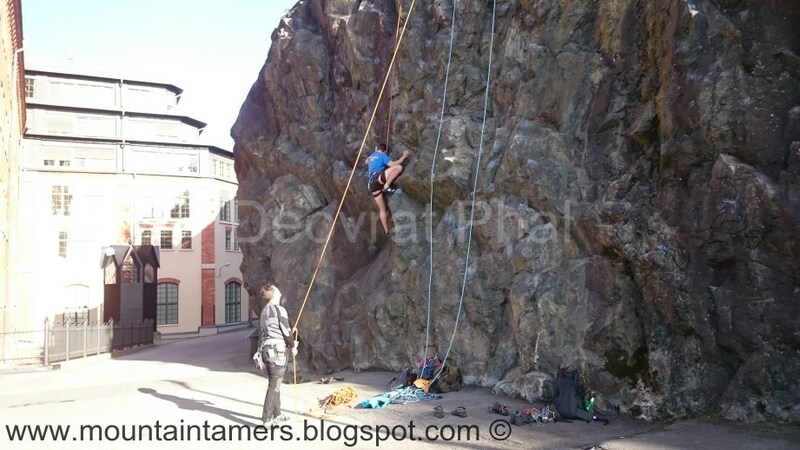 After doing a little search on the internet, I found the details of a climber who organizes outdoor climbing events in Stockholm. An event was fixed and I decided to join him, with two other climbers. I had a harness, helmet, climbing shoes (the blue La Sportiva, which I was going to use for the first time), a few carabiners and a sling. Angie had the ropes with him and the QD's which we used to open the routes. Here, these kind of events are called 'After-work events', where you would hang around after work, instead of heading straight home. 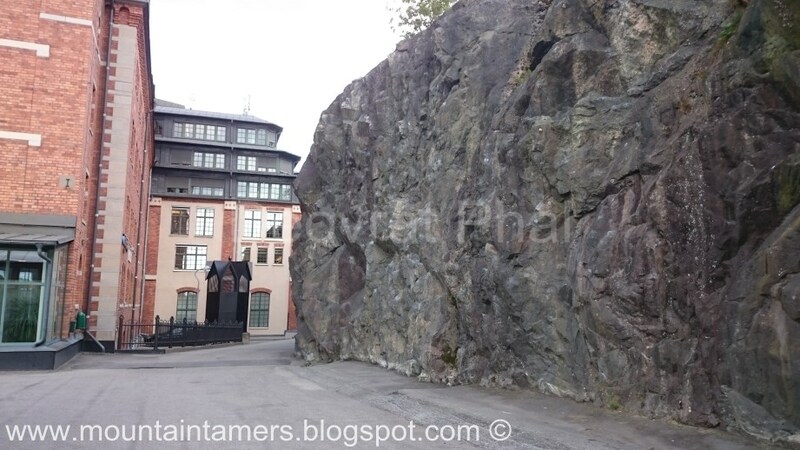 Click here to get the location of the crag. 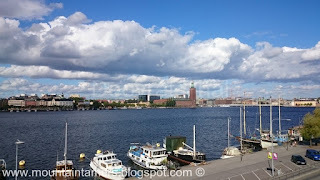 I took the metro from Kista to Zinkensdamm. 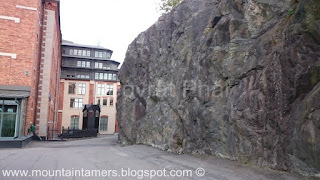 Münchenbryggeriet can be reached by taking a small 5min walk and you can find the climbing area on Münchensbacken. 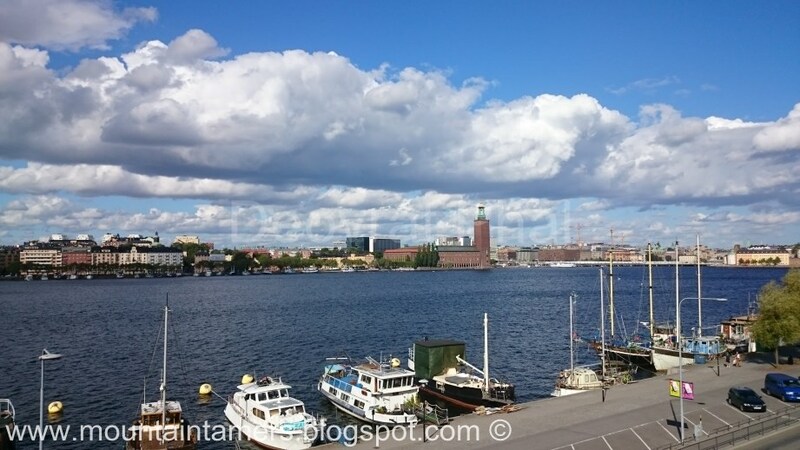 You can get a nice view of the Stockholm city hall, and is supposedly a best place to hang around, just to have a glimpse of the Sunset. I couldn't help notice this one weird thing i.e. to have the climbing area just beside the main road. 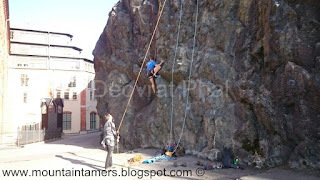 This was my first climbing event in Stockholm since my arrival here. I hope I am able to continue this here ! I have promised Angie that I will accompany him for his future events too. Stay tuned for more.